South Bay Matrix FC is proud to announce a collaboration with Pacific Soccer Club (PSC) that will enable South Bay’s highest caliber teams to participate in Coast Soccer League. 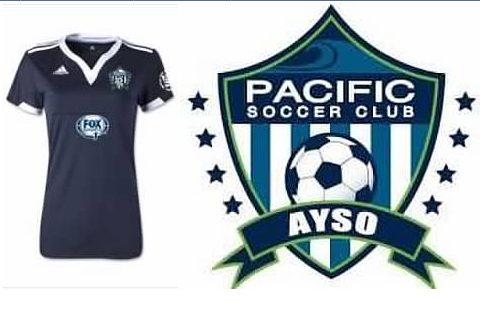 Pacific Soccer Club (PSC) is the AYSO Competitive Club Soccer program for Orange and Los Angeles counties. PSC has boys and girls teams that compete in Coast Soccer League. Last season, they had 35 teams competing in either Bronze, Silver or Silver Elite brackets. Since PSC was founded 16 years ago as part of a third, elite Club-style tier to the AYSO organization, it has grown to involve more than 500 boys and girls in Southern California playing on 35 teams from San Clemente to East Los Angeles. With the addition of South Bay Matrix, PSC will now extend its program to south San Diego. SB Matrix FC will work closely with Pacific Soccer Club’s directors and coaching staff in implementing PSC’s training plan to enhance the development of players’ skills and technical abilities. The partnership will start with a single team: the newly formed Pacific SC South Bay G2002 team, which will have immediate access to the TAGA GOALKEEPER TRAINING ACADEMY as well as entrance to CSL League Cup, Spring Cup, and California Cup. Polo Aviles, South Bay Matrix FC coach and Technical Program Director, as well as Asst. 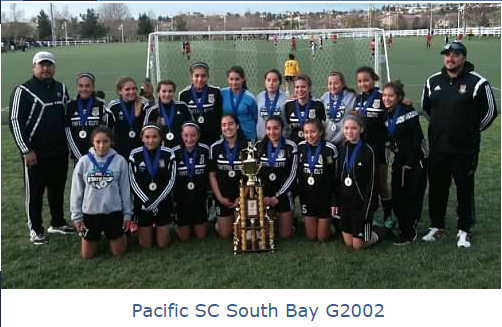 Coach Luis Rivera will be joining PSC as coaches for the Girls 2002 squad, which will compete in Coast’s Silver Elite bracket. Coach Aviles will continue serving as Technical Program Director of South Bay Matrix FC. South Bay AYSO has long fielded quality soccer teams, with coaches who have proven that volunteers can and do “make a difference.” South Bay Matrix was developed as the region’s competitive soccer option for players and coaches looking to grow their game. Coach Aviles’ squad has taken the program to yet another level. CSL – Silver/Silver Elite/Gold & someday Premier for the most competitive teams, which should also increase exposure on a regional and national basis and give players a chance to compete against top clubs. Entrance criteria for this league would be previous SDDA team with a level of success in their respective Flight 1 or 2 bracket. SDDA – The local premier league, which is the most competitive level in San Diego and gives teams exposure to National Cup. The highest platform for our local competitive teams. Presidio League – Competitive, which also gives our players a chance to compete in the bracket of their choice, but also gives players just entering the competitive level the chance to see if it is the right fit. AYSO Extra – A program that offers organized soccer for players who want to play at a more competitive level. Club soccer teams are in place in many parts of the country, but for those who want to play harder and still be a part of AYSO, EXTRA is a perfect starting point before transitioning to Presidio.